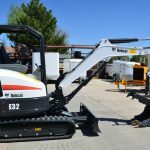 Bobcat has a new compact track loader: the "T550" - A & J Time Rentals, Inc.
Bobcat says the machines fall under its medium frame-size — the company’s most popular loader size class. Each machine packs a Tier 4 interim-compliant engine. 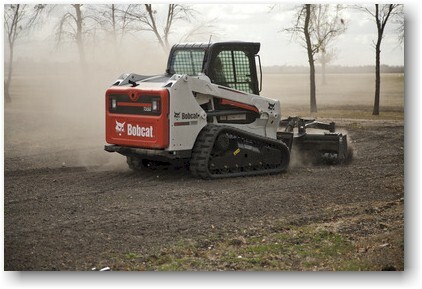 The new 500 models are part of the M-Series and will replace Bobcat’s K-Series models. 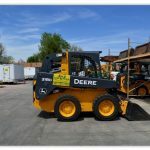 The T550 is a radius lift machine, and it features Bobcat’s cab forward design which the company says improves visibility by moving operators closer to the attachment. Bobcat stressed improvements to the cab and operator comfort in the 500 models. The cab door on the 500 models provides a boost to visibility and Bobcat calls the door “the largest cab door opening” available. 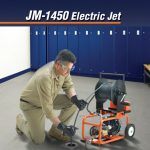 This opening has increased more than 40 percent over the K-Series machines. Side and rear windows were enlarged as well and Bobcat says it redesigned and increased the total size of the pressurized cab by 10 percent. 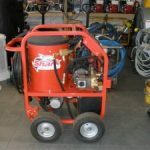 Cab height was increased too, making getting in and out of the machines easier and giving you more headroom while operating the machine. 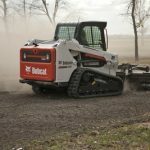 Bobcat is says the performance of the T550 is capable of “outperforming higher-horsepower machines.” Bobcat has increased the hydraulic performance of the 500 models over the K-Series machines, engineering them for higher standard flow and pressure in order to give attachments more power. Bobcat says a hydraulic bucket positioning option is available to reduce spillage by keeping the loader bucket level as it is raised.